Mac's Tie-Downs now has a complete line of track, connectors, deck and specialty hardware and a complete line of tie-down straps. Check out the Recently Listed Chassis Stabilizers. Pit Stop USA is The Online Motorsports Superstore! 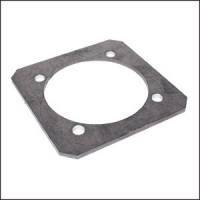 We feature D-Rings at low everyday prices. Pit Stop USA is The Online Motorsports Superstore! 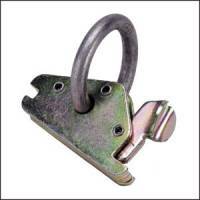 We feature Draw Bar Hitch Ball Mounts at low everyday prices. Pit Stop USA is The Online Motorsports Superstore! 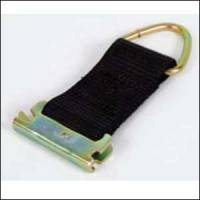 We feature E-Track & Track Straps at low everyday prices. Pit Stop USA is The Online Motorsports Superstore! 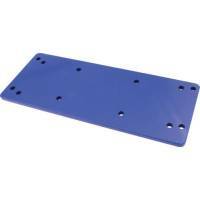 We feature Engine Lift Plates at low everyday prices. Pit Stop USA is The Online Motorsports Superstore! We feature Tie Downs & Straps at low everyday prices. 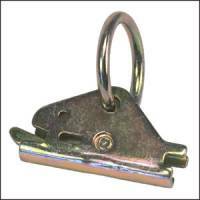 Check out the Recently Listed Tie-Down Anchors. 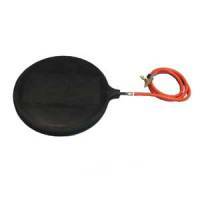 Mac's Axle Strap w/ Sleeve - 2" x 24"
Mac's Axle Strap w/ Sleeve - 2" x 36"
Pit Stop USA is The Online Motorsports Superstore! Mac's Custom Tie-Downs was started back in 1993, when Colin McLemore realized there was a need for high quality tie-down systems for trailers and truck beds. Through much engineering research and talking with both trailer manufacturers and users of tie-downs, the company developed their patented VersaTie Tracks and Connectors. 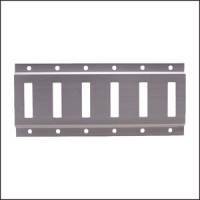 This system of high strength aluminum tracks and steel connectors has quickly become the standard of the industry. 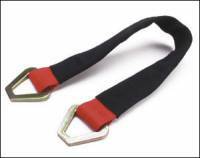 These superior quality tie-down systems and components are used by the best trailer builders in the country, and can be found at virtually any motorsport event. Mac's Tie-Downs now has a complete line of track, connectors, deck and specialty hardware and a complete line of tie-down straps. All products are made to the highest quality and strength standards. 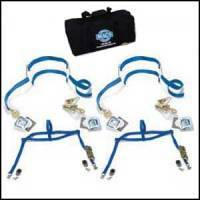 Special features include: double stitching on straps, CNC machining on all track, highest grade connector materials, and simple, easy-to-use componentry. 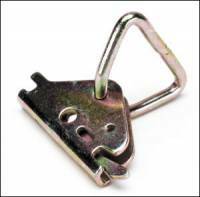 For the finest quality tie-down components, complete security, fully stocked inventory and first class service, order from the best: Mac's Custom Tie-Downs. 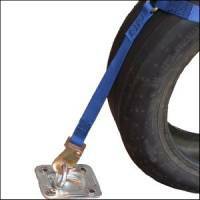 We feature Mac's Custom Tie-Downs products at low everyday prices.